Part of our coverage of the 2016 Ithaca Fantastik Film Festival There’s only one day left in the 5th Ithaca Fantastik Film Festival! A long Saturday of exciting and varied offerings at Cinemapolis included such films as an Argentinian horror anthology (Terror 5), an animated zombie thriller from Korea (Seoul Station) and an exorcism docudrama out of New Zealand (Belief: The Possession of Janet Moses). And these are just the films that I missed! The following is a chronicle of four similarly diverse works that screened yesterday as part of the festival. Unlike many of the titles screening at Ithaca Fantastik 2016, I, Olga Hepnarová is far from a genre film. Set in Prague in the early 1970s, the movie tells the true story of a 22-year-old woman (Michalina Olszanska) who fiercely rejects society, her frustration and brooding culminating in the decision to run over a crowd of innocent people with a truck. Most of the runtime is spent probing the days and weeks leading up to this event, following Hepnarová as she moodily maneuvers through a tense relationship with her mother, pursues suppressed lesbian desires and recedes deeper and deeper into a state of total isolation. It is assumed that we’re meant to relate to or at least understand Olga’s way of thinking, but she’s a hard nut to crack. Distinguished by her slumped shoulders and a wide-based gait, the character’s demeanor and body language subtly lays the groundwork for this understanding, as she rarely externalizes her rage. Olszanska acts through her perpetually narrowed, shifting eyes and is allowed only a few crucial moments of emotional exposition. Outside of the central performance, the formal aspects of the film also speak to Olga’s mindset. It’s shot in black and white, and the overwhelming grayness of the visuals combined with a consistently unmoving, quietly observational camera creates a dry, detached landscape of experience that seems to approximate Olga’s outlook on life. The world of the film is static, colorless, and devoid of aesthetic pleasure. I, Olga Hepnarová never quite reaches transcendent levels of understated insight and as a viewer, watching it is perhaps more deadening than relentlessly thought-provoking, but it is an effectively austere snapshot of festering inner turmoil. In the opening scene of My Father, Die, a father kills his son. The brutal beatdown is shown in black and white and is accented with a reflective voice-over by a child (the brother of the young man being brutalized). Flash forward 10 years, and that child has grown up to be a deaf and mute man, irreversibly crippled by the events of that day. This 20-something’s name is Asher (Joe Anderson) and he soon comes to find out that his father, Ivan (Gary Stretch), has been released from prison early. Distressed by this news and certain that more brutality is on its way to his household, Asher decides to track his father down and deal him the vengeful hand he deserves. “Hicksploitation” is the word that comes to mind when considering the nature of this film’s drama. 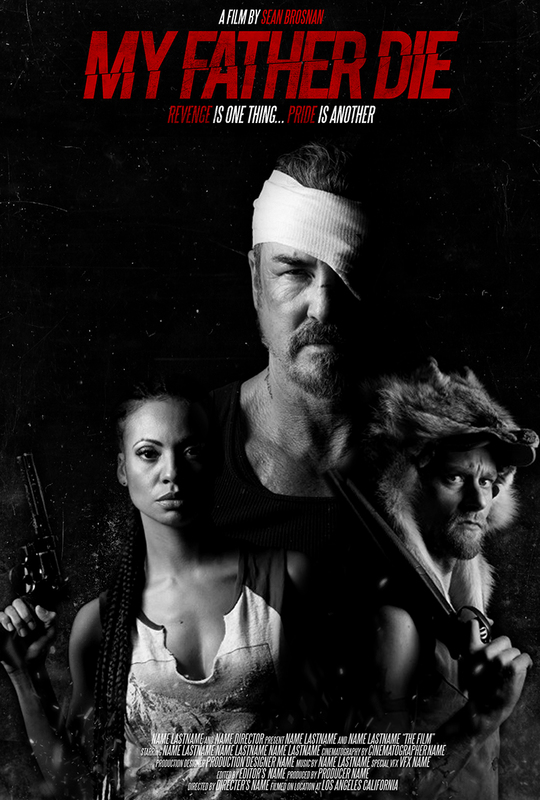 The setting is the Deep South and the characters are trashy barflies and grimy trailer trash types with short fuses and big guns. Sprinkled here and there are whiffs of Beasts of the Southern Wild (in the motif of the pseudo-poetic voice-overs) and Blue Ruin (in the premise and story structure), but My Father, Die is neither softened by fantasy nor enhanced by well-placed subtext. This is a straightforward revenge tale with slightly misguided aspirations to be something more. Brief interludes lingering on classical paintings of beheadings and cannibalism paired with a few lines about the movie’s twisted father-son relationship insinuates rich themes, but I don’t think the film is ever as profound as it seems to think it is — it’s more overwrought and artificial than anything. First time director Sean Brosnan (son of Pierce) revels a bit too much in the aimless grunginess of this generic revenge story and while the style of the film is often interesting, much of the actual content is not. The best film I saw all day and possibly the best (non-retrospective) film of the festival so far is unfortunately one that I find extremely difficult to discuss in detail. I went into this screening knowing next-to-nothing about the premise, and that is undoubtedly the best way to approach the immensely clever and unpredictable Safe Neighborhood. As far as plot goes, I will give you the following. 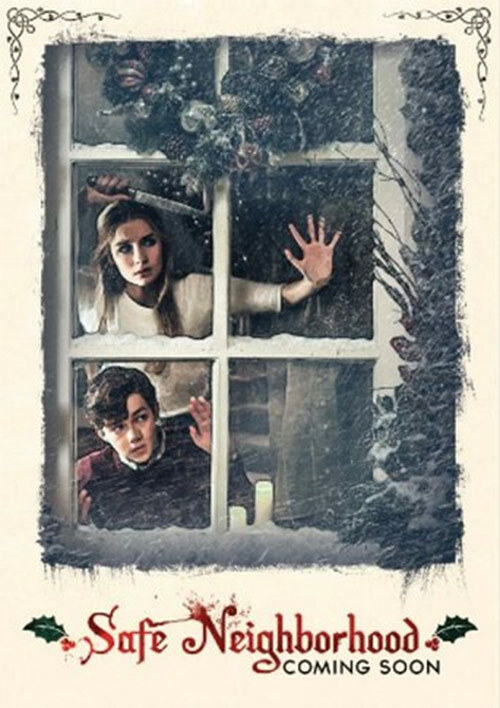 At Christmastime, a teenage babysitter (Olivia DeJonge) is left to watch over a 12-year-old boy (Levi Miller) who has a crush on her. The ambitious kid has hopes of winning her over, but there’s no time for romance, as an outside threat begins to make itself known. All this sounds like a typical home invasion story setup, but I assure you, there is nothing conventional about Safe Neighborhood. At some point, things take a turn, and from then on, the film goes into a wonderfully intricate cycle of reinvention and subversion as boundaries are tested and expectations are toyed with in a way that is endlessly fun. Horrific and comedic tones are intelligently balanced and the disturbingly demented mingles with the irreverent. A cast of mostly young talent (including Ed Oxenbould of The Visit) fully delivers and it helps that the script they have to work with is so sharp-witted. I watched this in a nearly-full theater and if the crowd’s reaction was any indication, this will most definitely find a devoted audience when it eventually hits theaters. It should also be mentioned that director and co-writer Chris Peckover was in attendance for a post-screening Q&A, but for the reader’s benefit, I think I’ll keep the details of that discussion under my hat. I will, however, share a particularly apt description of the film that Peckover phrased as “A John Hughes movie, interrupted.” The smartly-designed mechanisms of that interruption make Safe Neighborhood a singular delight that I can’t wait to experience again soon. 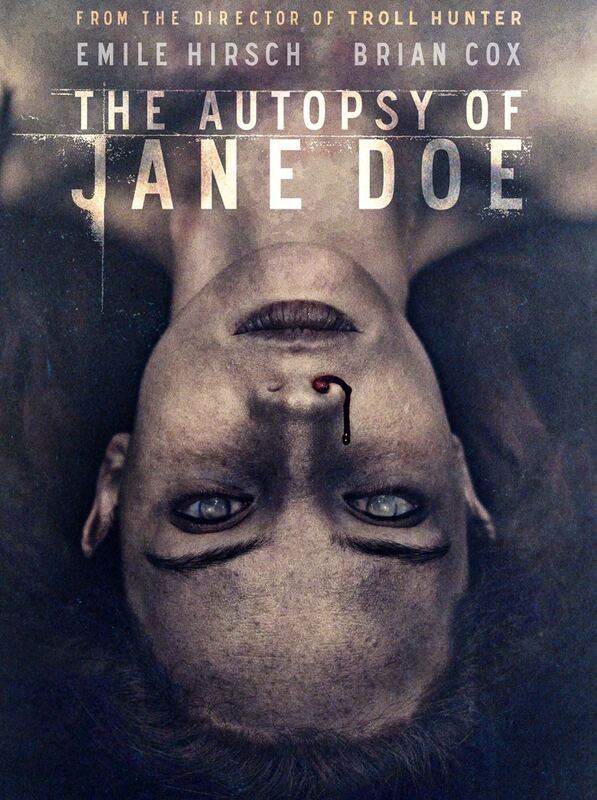 The premise of The Autopsy of Jane Doe is immediately enticing. 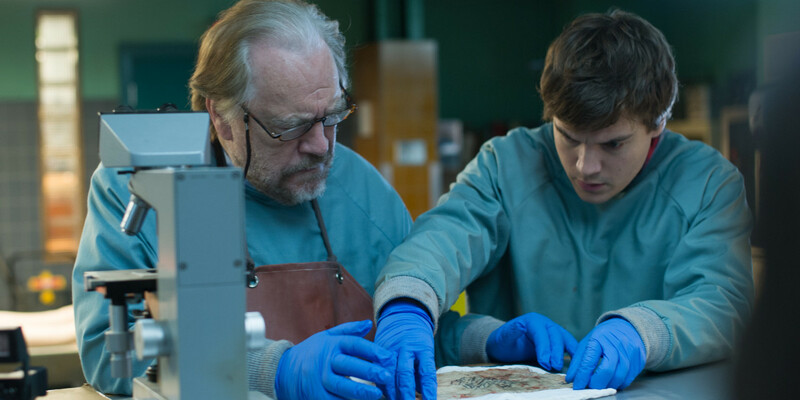 Two coroners, a father and son (terrifically played by Brian Cox and Emile Hirsch), are wrapping up for the night when a policeman arrives at the family business with the fresh body of an unidentified female. The cadaver comes from a crime scene where numerous violent deaths were discovered. However, this particular body is entirely unblemished — not a bruise or wound in sight. Even more strange is the fact that it was found half-buried in a basement. Faced with a morning deadline, the two men roll up their sleeves and begin their autopsy of the corpse, only to discover increasingly disturbing abnormalities. The more they slice open the mysterious Jane Doe, the more sinister the situation becomes, as their scientific skepticism is challenged by aggressive supernatural forces in a never-ending night of escalating terror. The director of the oft-overlooked Trollhunter does not disappoint with his first feature in six years. For my sensibilities, this is the scariest film I’ve seen at Ithaca Fantastik so far. It may rely a bit too heavily on quiet-quiet-BANG jump scares, and cliches occasionally overshadow the more nuanced plot elements, but the atmospheric horror is really strong and at times thrillingly unnerving. The script doesn’t strain for anything too lofty or complex, but it goes above and beyond the call of most spookfests of this kind. The storytelling is tight, detailed and adequately layered, dropping in clever motifs and setups for later reveals. It works on more than one level as well, balancing potent frights with an absorbing process of problem solving that keeps us engaged in the struggles of the protagonists as we simultaneously dread the menacing ambiguity of their circumstances. I suspect that a repeat viewing may yield diminishing returns, but this was nevertheless a very satisfying film that left me with a big smile on my face. Also, it depends on how it goes over with audiences, but I believe the film leaves the door open to some very interesting prequel/sequel possibilities that I would be very curious to see. For a more extensive take on the films mentioned here and the festival experience as a whole, check out this third installment of a 4-part series of solo podcast specials!